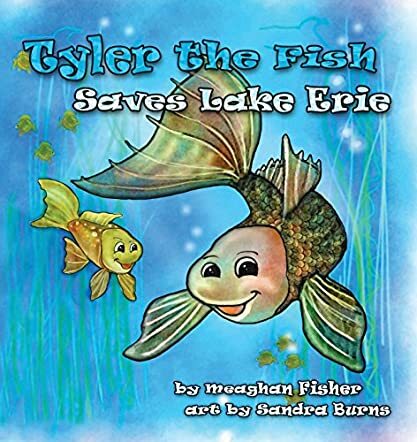 Tyler the Fish Saves Lake Erie by Meaghan Fisher is a story with a concept for small kids that will raise awareness about the hazards of pollution. Tyler is just another playful bass who lives in Lake Eerie. Like any other young fish, he love to play and explore the lake. One day while playing the game Fish Tag, he and his friend Jimmy find themselves in new waters. They realize that there is something wrong with the water as it is brown. They have to find out the cause and come up with a plan to save the lake and the creatures living in it. Will Tyler and Jimmy be able to save it before the entire lake is poisoned? The book comes up with a beautiful message of protecting the environment. It is a beautiful story that tells children about the efforts and hard work by Tyler, Jimmy, and the seagulls to save the lake from being poisoned. It is a theme that is relevant in today's times. I would recommend teachers, educators, and parents to use this story in classrooms and libraries for read-aloud sessions because it teaches kids the importance of keeping the environment clean for a safe existence. The illustrations are beautifully executed, giving life and movement to the story and the characters. I would recommend this story to all kids because of the theme and its importance. It a good way to make children aware of pollution and to work together to give ourselves a clean and healthy environment. Love this book. It teaches leadership, teaming together and protecting the environment to children.